Thanksgiving is a great occasion to pay tribute to, and be thankful for, the many delicious products that are made here in Sonoma County. Here are some of my favorite local foods and beverages that you and your guests will be delighted to savor, not only on this special day, but throughout the year. Make a delicious first impression by offering your guests a delectable hors d’oeuvre you created yourself using Chevoo cheese. Made here in Sonoma County, Chevoo is a one-of-a-kind artisan goat cheese that’s been immersed in olive oil infusions. 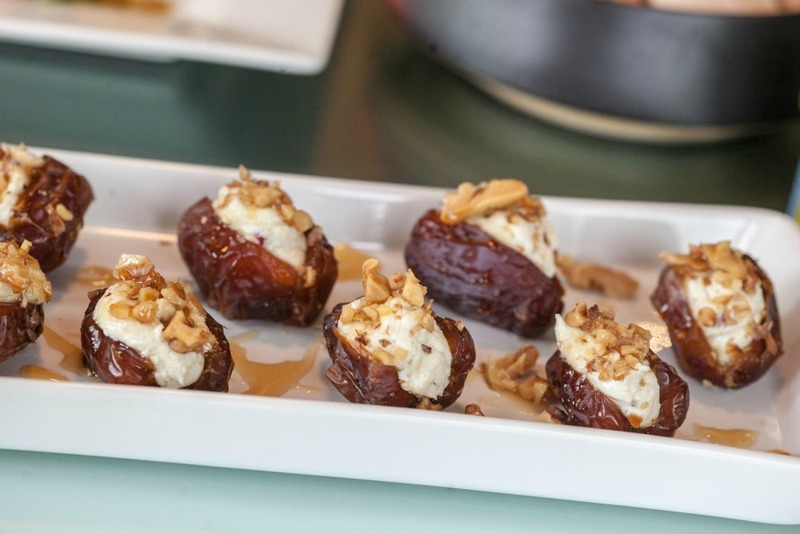 To make these stuffed dates, simply slice open pitted dried dates and fill with Smoked Seat Salt & Rosemary Chevoo cheese. Top with chopped walnuts and drizzle with honey and you’ve got a gourmet appetizer perfect for the holidays or any time of year. 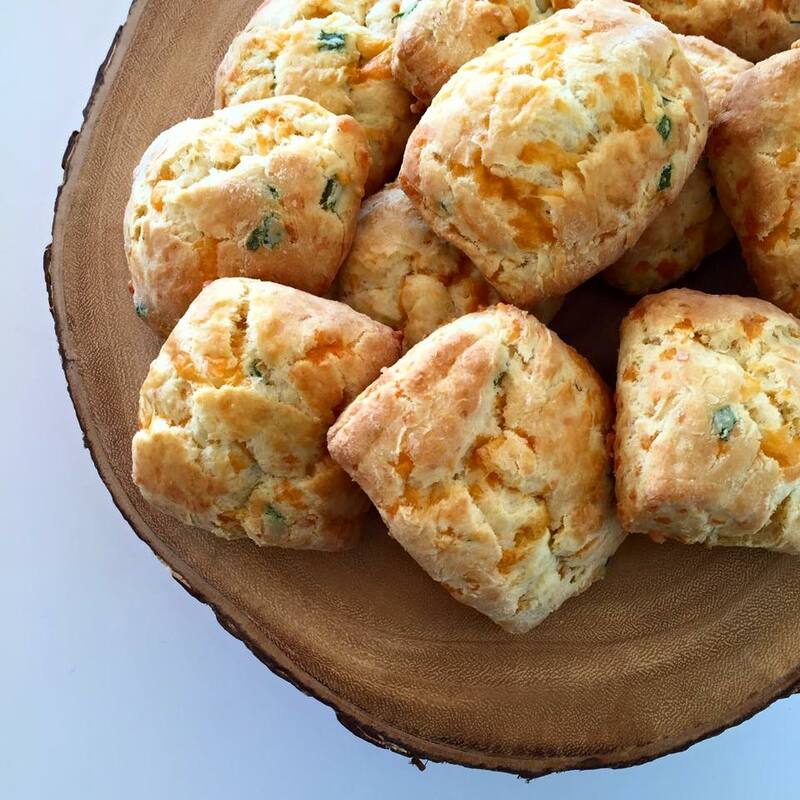 Make sure you have plenty of these scrumptious biscuits to go around on Thanksgiving Day or your guests will be battling over who gets the last one! Cheddar cheese and scallions give these flakey savory pastries a rich and satisfying flavor. Do you want to offer your guests a snack before the big meal but don’t want them to spoil their appetite? Serve half-sour barrel fermented pickles that are all-natural and flavored with nine spices, fresh garlic and sea salt. 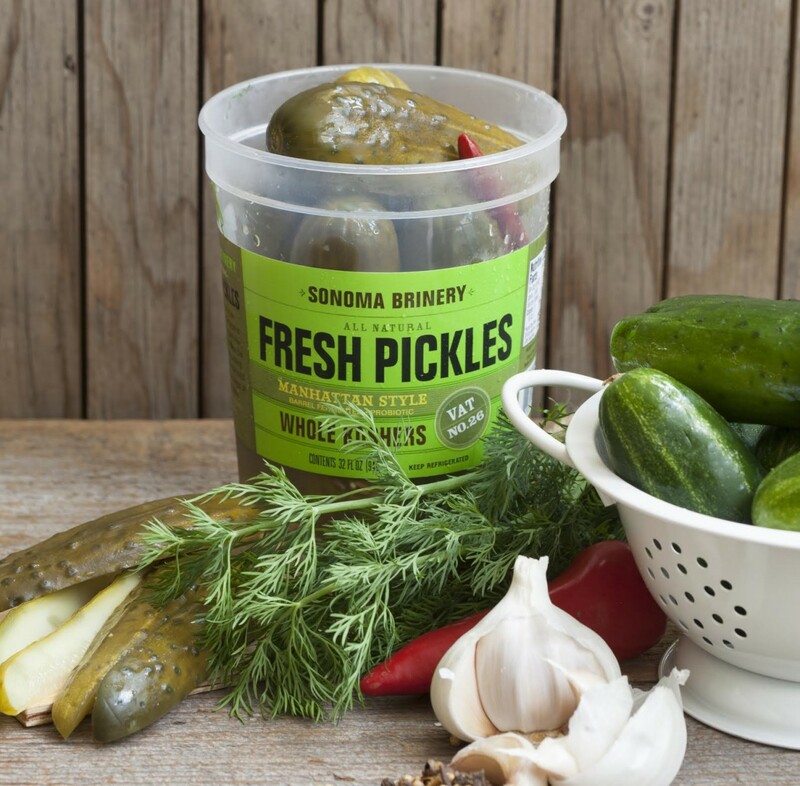 Also, Sonoma Brinery uses live culture in their fermented foods, healthy for our digestive systems, which we all know can get a real workout on Thanksgiving Day! Manhattan Style Fresh Pickles, $5.99 – $6.99 for a 16 ounce jar. Sonoma Brinery, (707) 473-0116, sonomabrinery.com Available for purchase in Sonoma County at Sonoma Market, Whole Foods Market, Pacific Market and Oliver’s Market. No celebratory dinner in Wine Country is complete without a great tasting olive oil on the table. Serve your guests the best of the best with B.R. 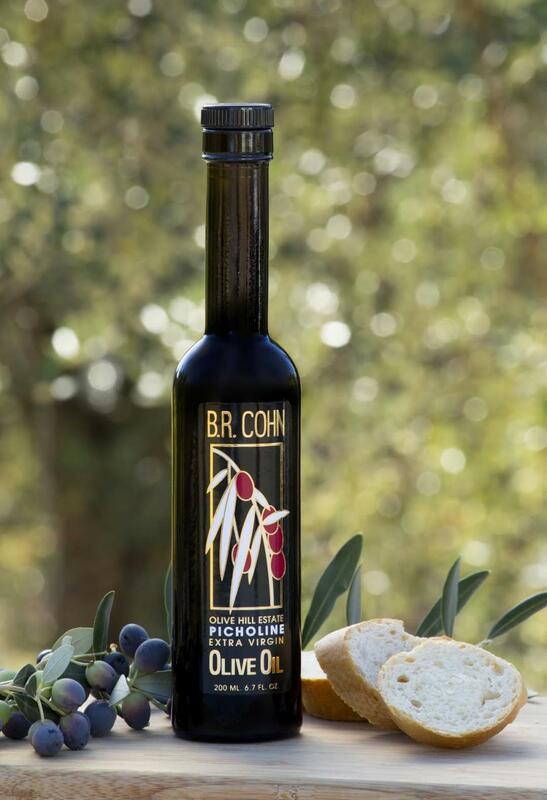 Cohn’s Picholine Extra Virgin Olive Oil, which was one of the first olives oils produced in Sonoma County in the 20th century. Picholine olives are grown on the B.R. Cohn Estate in Glen Ellen. The olive trees were imported from France and planted over 160 years ago. This particular varietal is high in antioxidants and has a longer shelf life than most olive oils – that is, if you have any left over after Thanksgiving! Break out the bubbly and celebrate all there is to be thankful for with a bottle – or three – of Sonoma County sparkling wine. 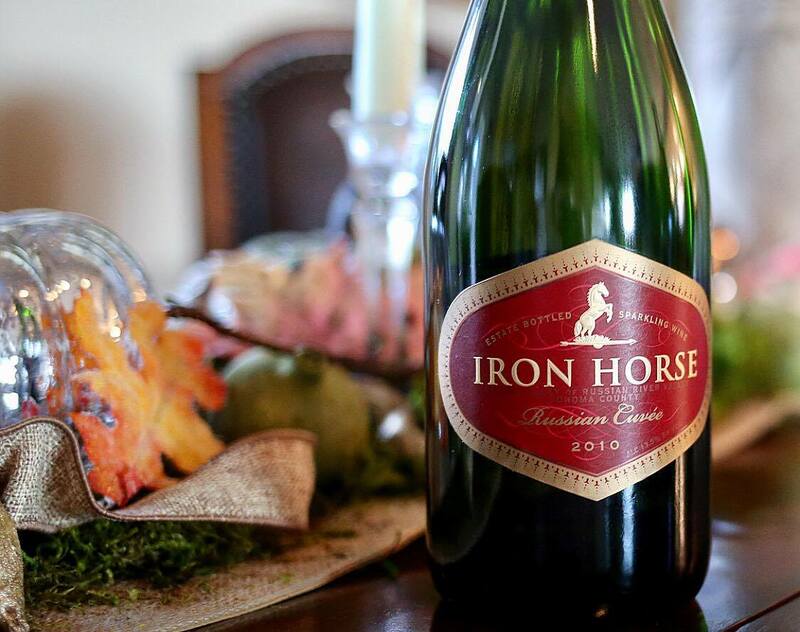 Iron Horse Russian Cuvée, the richest of Iron Horse’s sparkling wines, has been served at the White House for five consecutive administrations. Make it part of your holiday tradition and toast to a happy and healthy holiday season with friends and family. 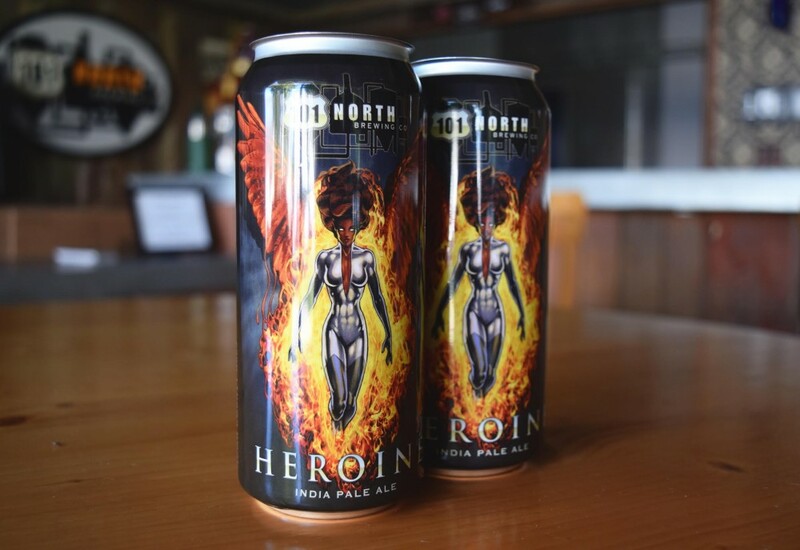 Your beer loving guests will want to pair their turkey dinner with this food friendly Heroine IPA from 101 North Brewing Company. The amber-colored ale will stand up to the bold and rich flavors of your Thanksgiving meal. 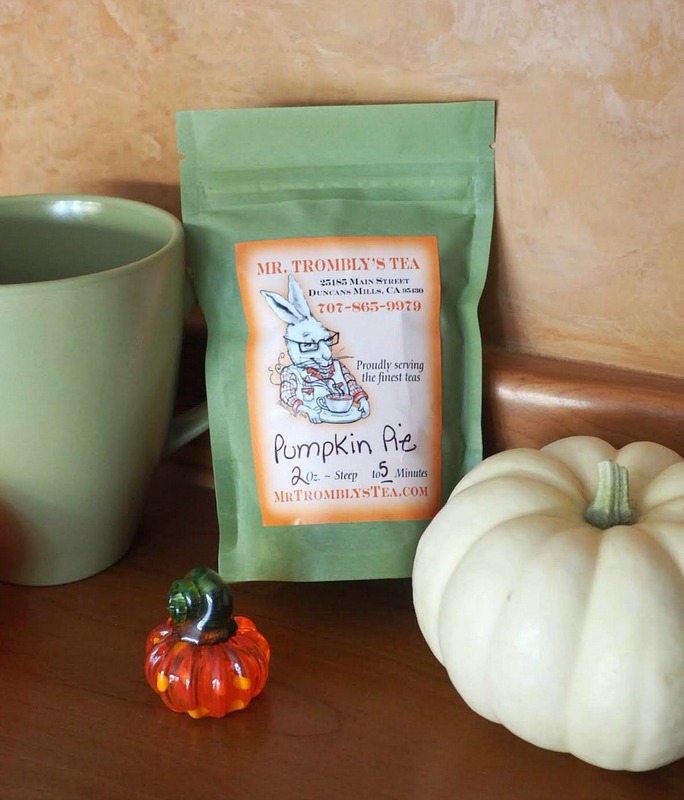 For a festive non-alcoholic warm holiday beverage, try Pumpkin Pie Tea from Mr. Trombley’s of Duncans Mills. This lightly caffeinated rooibos and black tea blend includes cinnamon, caramel and carrot pieces. It’s like a slice of Grandma’s pumpkin pie, only in a cozy mug! Kids from 1 to 100 will want to gobble up these whimsical turkey, acorn, and pumpkin sugar cookies. 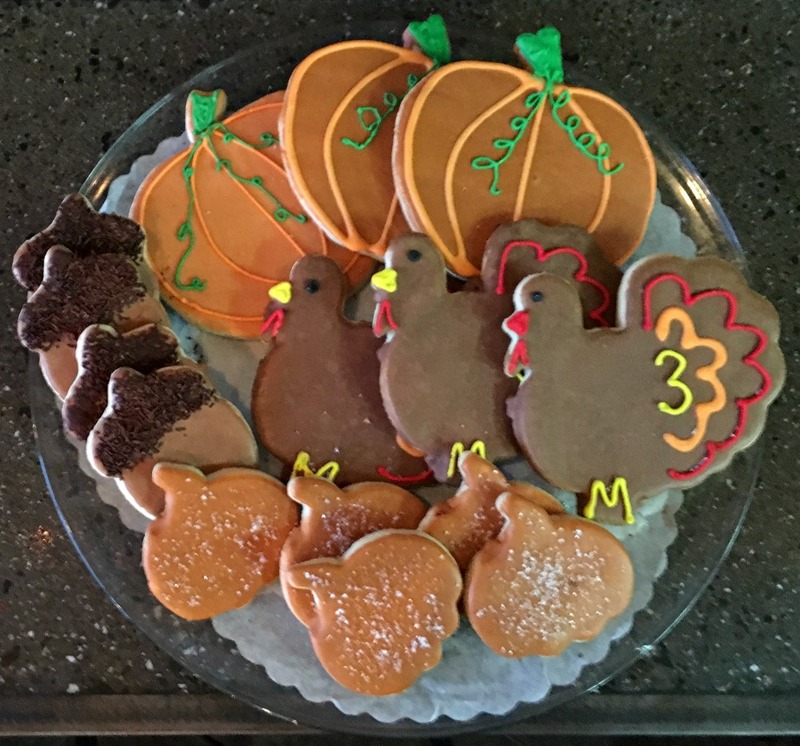 Choose from small acorn and pumpkin cookies for $1.50 each or large turkey and pumpkin cookies for $3.50 each. It wound’t be a traditional Thanksgiving meal without a pumpkin pie! 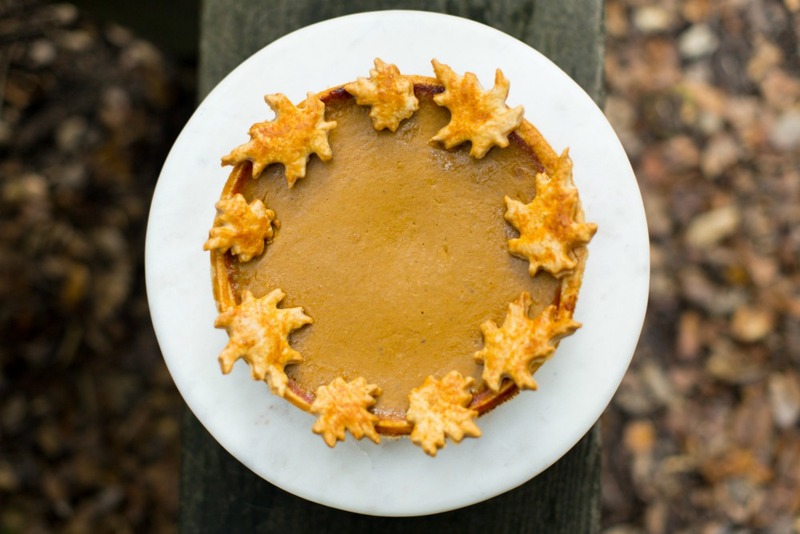 Serve an extra special pumpkin pie this year from Crisp Bake Shop in Sonoma. This autumn beauty is not only a delight for the eyes but the maple bourbon pumpkin filling will delight your guests’ tastebuds too! 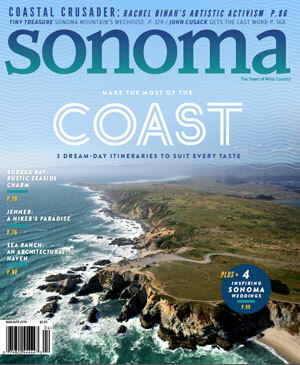 What delicious Sonoma County products will you be serving Thanksgiving Day? 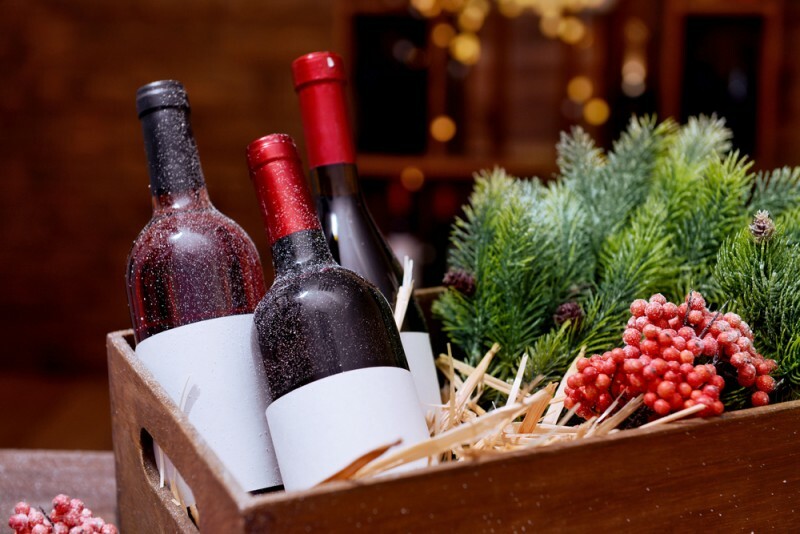 Looking for wines to pair with your holiday meal? We've got you covered.